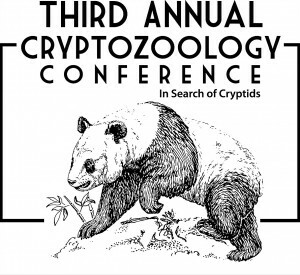 Third Annual International Cryptozoology Conference (ICC2018). The nonprofit, 501(c)3 ICM will hold our ICC2018 in the new Brick South building at Thompson’s Point, in beautiful coastal Portland, Maine, over Labor Day Weekend, September 1-2, 2018. The conference will occur over two days, featuring talks from leaders in the field, an unveiling of a new exhibit at the ICM, a Bizarre Bazaar of some unique items and goods from specialized vendors, as well as an opportunity to expand your knowledge in the amazing field of cryptozoology. The conference expands to two days in a venue across the Thompson’s Point parking lot from the Museum. 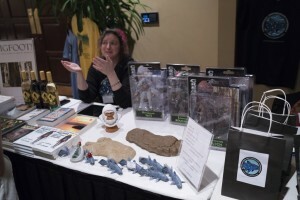 The speakers’ area will be in the same building, in the grand room as shall the vendors, so as to have easy access to all of exhibits, products, book signings, and other conference displays. We need more vendors. Sign up today. See link at bottom. The speakers will be open-minded and skeptical authorities, researchers, and authors well-versed in cryptozoology, as well as at least two cryptozoology filmmakers who will talk about their films, with the entire selection or specific clips shown. Friday August 31, 2018 – The International Cryptozoology Museum and International Cryptozoology Society will have a Board Meeting. Announcements during the Conference will issue from this meeting. One item on the agenda is that there will be NO conference during 2019. In June of next year, the ICM/ICS will be conducting an academic expedition to Loch Ness and Loch Morar for a week. More details will be released at the conference on how you register to be one of the 14 individuals/couples to join Loren and Jenny Coleman in search of loch monsters in Scotland in 2019. Saturday September 1, 2018 ~ The location of the conference is Brick South, Thompson’s Point, Portland, Maine (PWM). 6:00 – 8:00 AM – Vendors set-up. 8:00 AM – Doors open, vendors open. The International Cryptozoology Museum at Brick North, Thompson’s Point, opens at 8 AM, closes at 7 PM today. All paid conference attendees have free admission to the Museum, all weekend long. 9:00 AM – Introduction to the Conference. Updates. Jeff Meuse. 10:00 AM – Break. Visit the Vendors. Music by Missy Mooney and the Tomb of Nick Cage. 10:30 AM – The Vermont Monster Guide. Stephen Bissette and Joseph Citro. Noon – Lunch on your own. Music by Missy Mooney and the Tomb of Nick Cage. Locally Sauced is open, in Brick North, with a cart outside too. 1:00 PM – Clips from The Cryptozoologist (2019) and the complete documentary Swan Song of the Skunk Ape (2015). Matthew Ralston. 2:15 PM – Break. Vendors. Music by Missy Mooney and the Tomb of Nick Cage. 2:45 PM - La Bête du Gévaudan. Hayley Eldridge. 3:45 PM – Songs of the Ape People. Dawn Prince-Hughes. 4:45 PM – DNA and Cryptozoology or How I Survived 10 Million Dollar Bigfoot Bounty. Todd Disotell. 6:00 PM – End of Day One. Brick South must be cleared of attendees for concert use that evening. Vendors close. The International Cryptozoology Museum remains open until 7:00 PM. Sunday September 2, 2018 ~ The location of the conference is Brick South, Thompson’s Point, Portland, Maine. 8:00 AM – Vendors allowed into Brick South to freshen up their tables. 9:00 AM – Doors open. Vendors open. The International Cryptozoology Museum is open today from 8:00 AM to 6:00 PM. 10:00 AM – Cryptid Predators. Colin Schneider. 11:00 AM – Beasts of Britain. Andy McGrath. Noon – Lunch on your own. Locally Sauced is open, in Brick North, with a cart outside too. 1:00 PM – On The Trail Of…Champ. Aleksandar Petakov. Comment by Katy Elizabeth. 2:00 PM – Bigfoot in Maine. Michelle Souliere. 3:00 PM – Break. Vendors. Museum. 3:30 PM – 5:00 PM – Sasquatch: Legend Meets Science. Don Jeff Meldrum. End of Conference. Goodbyes and safe journeys. Jeff Meuse. Loren Coleman. The International Cryptozoology Museum, Brick North, remains open until 6:00 PM, for souvenirs and gifts, as well as visits. Stephen R. ”Steve” Bissette is an American comics artist, editor, and publisher with a focus on the horror genre. He is known for working with writer Alan Moore and inker John Totleben on the DC comic book Swamp Thing in the 1980s. 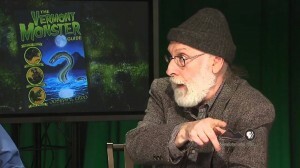 Bissette teaches courses at the Center for Cartoon Studies in White River Junction, Vermont. Joseph A. Citro is a Vermont author and folklorist. Occasionally referred as the “Bard of the Bizarre” or “the Ghost-Master General,” he has extensively researched and documented the monsters, hauntings, ghost activity and occult happenings of New England. 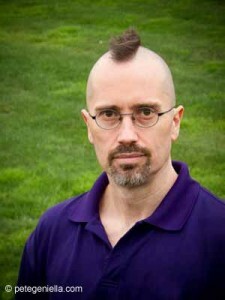 Citro is the author of several nonfiction books on New England’s unsolved mysteries. Bissette and Citro are the co-authors of The Vermont Monster Guide (2009). 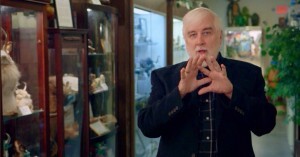 Loren Coleman is the founder and director of the museum, having collected for almost six decades the cryptozoological components and contents of the physical museum. He is a world-renowned expert in the field, author of several foundation books in cryptozoology and a frequent on-air interviewee and consultant. Mr. Coleman was a full-time researcher at the University of Southern Maine’s Edmund S. Muskie School for Public Policy for 13 years, as well as an adjunct assistant and visiting associate professor for over 20 years at USM and five other New England Universities. 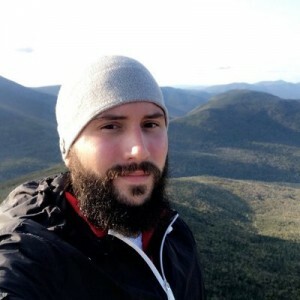 He lives in Portland, Maine, and besides sharing and curating his collection-on-loan, he continues to travel extensively to lecture on and investigate cryptids. NYU Department of Anthropology, Professor of Anthropology, Ph.D. 1992; M.A. 1987, Harvard University; B.A. 1985, Cornell University; appearances on MonsterQuest, Search for the Lost Giants, 10 Million Dollar Bigfoot Bounty, and other television documentary series. Hayley Eldridge is a graduate of Nichols College, a cryptozoology blogger, an inauguratory member of the Youth Panel at the International Cryptozoology Conference 2017. Eldridge’s research on La Bête du Gévaudan has been a focus of her investigations. 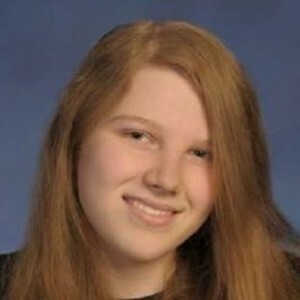 Katy Elizabeth currently resides on the shores of Lake Champlain, at Ferrisburgh, Vermont. She has been studying the existence of the Lake Champlain Monster, “Champ,” since she was a child. 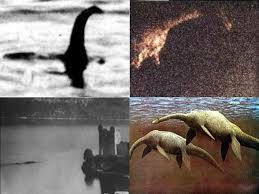 After her own sighting of this elusive creature in Lake Champlain, she started her own group called “Champ Search.” She has authored the book, Water Horse of Lake Champlain, and has been featured on television with Giorgio Tsoukalos, Vermont news, and national radio programs. She is the only full-time dedicated woman Lake Monster hunter in the world. 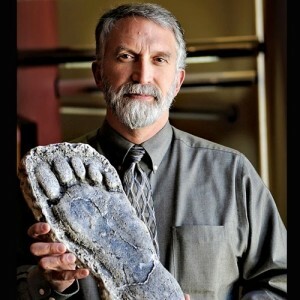 Don Jeffrey “Jeff” Meldrum is a Professor of Anatomy and Anthropology and a Professor of the Department of Anthropology at Idaho State University. Meldrum is also Adjunct Professor of Occupational and Physical Therapy. Meldrum is an expert on foot morphology and locomotion in primates. His appearances on reality television regarding the evidence for Bigfoot is familiar to many. 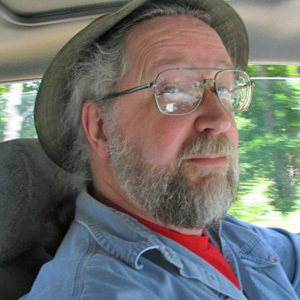 He is the author of Sasquatch: Legend Meets Science, and the two pamphlets, Sasquatch Field Guide and Sasquatch, Yeti and Other Wildmen of the World. Jeff Meuse is the Assistant Director of the International Cryptozoology Museum. 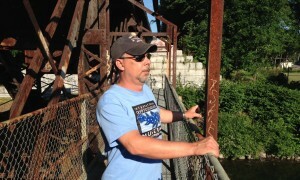 Jeff Meuse’s passion for cryptozoology began on the North shore of Massachusetts, with the Nahant Sea Serpent. Decades later, a dream came true allowing him to become a part of the world’s only cryptozoology museum. Whether it be the ancient ruins of Chichen Itza or the murky depths of Lake Champlain, Jeff has investigated cryptids at every opportunity. Today, Jeff and his family reside on the shores of Maine, on the constant look out for a sea serpent to breach the surface. 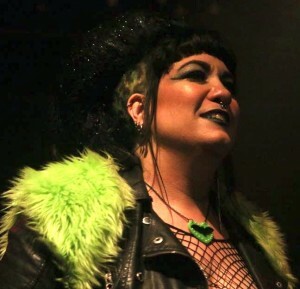 Member of the International Cryptozoology Society and the lead singer of The Tomb of Nick Cage, lives in New Orleans. 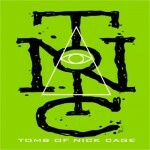 Her group, The Tomb of Nick Cage will be playing at the conference. Andy McGrath is the author of Beasts Of Britain. He is a cryptozoology “enthusiast” who has spent over 25 years of researching and obsessing about the unknown creatures living on the tiny island in the North Atlantic called the United Kingdom. Aleksandar Petakov is the filmmaker and director of the new 2018 ongoing series from Small Town Monsters entitled On the Trail of…Champ. 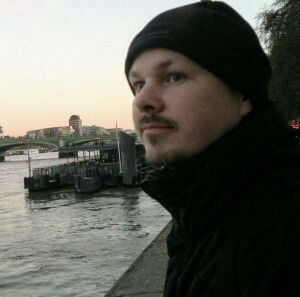 Petakov has been the director of Sasquatch: Out of the Shadows (2016), Mystery at Loch Ness (2016), and Living Nightmares (2015). 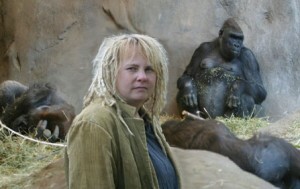 Dawn Prince-Hughes is an American anthropologist, primatologist, and ethologist who received her M.A. and PhD in interdisciplinary anthropology from the Universität Herisau in Switzerland. Prince-Hughes is the author of Songs of the Gorilla Nation, Gorillas Among Us, Expecting Teryk, The Archetype of the Ape-Man, Passing As Human/Freak Nation, and Circus of Souls. 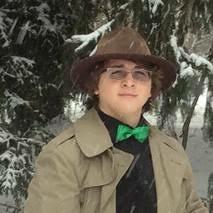 One of the youngest cryptid researchers in America today, Colin Schneider already has impressive credentials and has lectured at conferences on cryptid attacks on livestock. He shares his copious amount of research and findings on strange reports of unknown beasts and the theories about them. His initial focus on vampiric creature attacks quickly ballooned into all manner of interesting monster mayhem. Michelle Souliere is an artist/illustrator, and is the editor of the Strange Maine Gazette and its companion blog, which she founded in 2005. In 2009 she founded the Green Hand Bookshop here in Portland, which has been her main focus ever since. 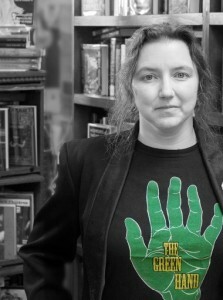 The Green Hand is a general used bookshop whose contents are curated by Michelle to encourage curiosity. She wrote and illustrated her first book, Strange Maine: True Tales from the Pine Tree State in 2010. She is a graduate of the Maine College of Art. She currently is working on a new book, Bigfoot in Maine. Paul LeBlond and William Dranginis have had to cancelled, due to health concerns. We wish them well. Tickets are available for the International Cryptozoology Conference on Eventbrite! Tickets are available for the weekend or just one of the two days. General Admission for one day is $45 (not including Eventbrite fee) and for both days it’s $75 (not including Eventbrite fee). The event will be happening on September 1st and 2nd (Labor Day Weekend) in Portland, Maine. The hotel’s block of rooms for this conference were open until July 31. Please obtain your tickets by August 17, 2018. Speakers at last year’s conference. Thanks for the update Loren – awesome line-up of speakers. We’re especially excited about Jeff Meldrum coming! We got our tickets through the GoFundMe campaign back in April and are glad to see that the conference will take place over two-days. Looking forward to it.